I watch the challenges to Pope Francis grow, and see the hypocrisy. Apparently it is all right to question his orthodoxy and his judgment. But if someone challenges his challengers, it is suddenly “abusive.” People believe they are fighting to defend the Church, but overlook the fact that they attack the foundation on which Our Lord built His Church. The end result of such a tactic would be destroying the faith of many, leaving them to think they were the authority of the Church who sit in judgment on the shepherds. Please spare me the angry retorts in the combox, pointing out the handful of sinful Popes throughout Church history. The fact that such Popes existed does not prove Pope Francis is one of them. The issue in question is whether this Pope has done wrong. Also, spare me refutations against claims that Papal press conferences are infallible. I know of no serious Catholic who believes they are. I believe the attacks against the Holy Father are made up of two fallacies: a Begging the Question fallacy and a Guilt by Association fallacy. The attacks against him assume as true (that he intends a heterodox interpretation of Church teaching) what they actually need to prove, and they assume that people with heterodox views liking what they think the Pope means is proof that the Pope is guilty of heterodoxy or ignorance of doctrine. I’m not talking about people who merely wish the Pope handled things differently. That happens in every pontificate (I wish St. John Paul didn’t kiss that Qur’an, or that Benedict XVI didn’t use the example of “a gay prostitute with AIDS” for example). I’m talking about people who spread accusations on social media claiming to be faithful Catholics out to defend the faith, but behaving like dissenting groups [*] throughout history—they insist their reading of Scripture and prior Church teaching must be correct, and any difference between them and the Pope and bishops in communion with him means the Pope must be wrong. I’m talking about people who focus on minutiae and miss the big point—like treating Footnote 351 as a Papal document and treating the entirety of Amoris Lætitia as a footnote. The potential for schism starts small. People post comments of “I miss Pope Benedict,” in response to (often inaccurate) news reports of what the Pope says and does. The unspoken element of the statement is “Pope Benedict XVI never would have done this.” This grows to become “The next Pope will have to address X,” as if Pope Francis is doing things that need to be overturned. With this small seed sown, people have opened themselves up to thinking the Pope must be endured until a “real” Pope emerges. If people continue to focus on this, they can start thinking, “I wish Bishop/Cardinal X was Pope instead,” and even start viewing this person as more authoritative than the Pope. The more one entertains these views, the more likely that person is to assume the Pope is in error and his critics are correct. Even if a bishop or cardinal has no intention of undermining the Pope [†], those critics who think of everything dualistically turn them into a counter-magisterium whose opinions they treat as teaching while treating the Pope’s teaching as opinion. When one begins thinking the Pope is heretical, they are tempted into looking on how to remove him from office. For example, St. Robert Bellarmine’s preferred opinion on a heretical Pope is treated as doctrine, ignoring the fact that he considered the opinion that, “the Pope cannot be a heretic, and hence would not be deposed in any case” [§] as “probable” and “easily defended.” He looks into other opinions simply because that is the issue disputed by those who attacked the papacy in general. At this point, the person is denying the authority of the Pope, based on a begging the question assumption that he is a heretic whenever the Pope says something different from their own view of what the Church should be, substituting the opinions of someone he happens to agree with over the teaching of the Pope, refusing to accept the judgments of the Pope when they disagree with personally held opinions. 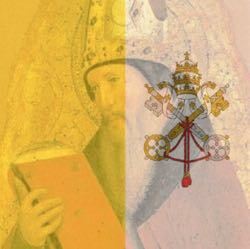 The problem is, we run into what Canon Law says about schism , “schism is the refusal of submission to the Supreme Pontiff or of communion with the members of the Church subject to him.” Whether it’s formal schism like the time of the the Protestant Revolt, or by action rejecting the authority of the Pope without formally rejecting the papacy, one at this point has fallen into error. I’m not going to accuse any specific individual, private or public, of being guilty. It’s not my task to assess conscience and judge souls. I merely wish to warn of the attitudes that deceptively lead one to damnation. If the path to schism is placing one’s own views above that of the Church and assuming the Pope is in error, the path back starts with realizing the possibility that we might be the one in error. We have to realize the possibility that we have misinterpreted what the current Pope has said, or what previous Church documents have taught. We have to realize that we might be guilty of rash judgment, assuming that the Pope is either maliciously or foolishly “changing” Church teaching. We have to realize that God protects His Church. We have indeed had a few bad Popes in the history of the Church. But they did not destroy the Church, and they did not teach any error as Pope. The accusations against Pope Francis are something unique. If his critics are right, then for the first time in Church history we have a Pope who used his office to teach error. If that is true, then God did not protect His Church. We have no way of knowing who was right in any conflict in the Church. If Pope Francis could teach error, why not St. Pius V? If Vatican II could teach error, why not Trent? It’s only by trusting in God to guide the Pope that we can reject these logical questions. We also have to realize that when the Pope teaches, even when he does not teach ex cathedra, we are obliged to give assent. That’s not an opinion, it's canon law. That doesn’t mean we have to all agree on how to best apply the teachings and instructions of the magisterium, but if we refuse to give assent, we’re no better than those critics of St. John Paul II or Benedict XVI who sought to weasel out of Church teaching. We’re behaving like the Pharisees who sought to evade obligations in the name of piety. In short, the path back from schism is based on faith in God and offering submission to His Church. Submission is not an easy thing to embrace. We’re all afraid of being trapped into doing the wrong thing. But we need to remember that the saints had faith in God and in His Church, offering submission when there was a conflict. The Holy Spirit did not go on a coffee break beginning in 1958 (when St. John XXIII became Pope). We are still protected, despite what the critics say. That doesn’t mean we can be mindless drones going through the motions. Each of us will have to struggle with doubts and fears. There will always be those who misuse the teaching of the Church. What we have to remember is, even with these things, God is still in charge and still with the successor of Peter—even now. I have no authority to teach of course. I can’t compel anyone to obey what I write here. All I can do is appeal to anyone reading who is tempted to reject the Pope to rethink their attitudes and consider whether they are being misled. [*] For example, the people who tried to make Pope John XXII out to be a heretic were the Spiritual Franciscans who resented the Pope’s lawful intervention on how the Rule of St. Francis was to be applied and sought to discredit his authority. [†] My view of Cardinal Burke and company, and Bishop Schneider is to assume they do not intend to undermine the Pope until evidence is presented showing otherwise. That doesn’t mean I have to approve of their actions or opinions, however. [§] [Bellarmine, Robert (2015-05-22). On the Roman Pontiff (De Controversiis Book 1) (p. 304). Mediatrix Press. Kindle Edition]. I found this book to be invaluable in putting the saint’s widely quoted words on a “heretical Pope” into context.